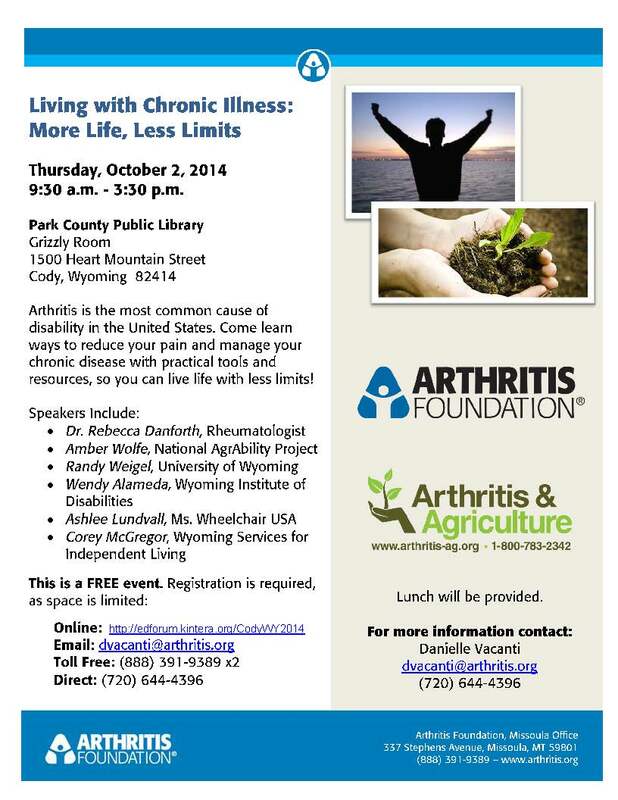 The Arthritis Foundation is sponsoring this workshop in Cody, Wyoming on Thursday, October 2. Scheduled speakers include Amber Wolfe, National AgrAbility Project, Randy Weigel with the University of Wyoming and Ashlee Lundvall, Ms. Wheelchair USA, among others. This is a free workshop but registration is required and can be done online.